Akshaya Navami (अक्षय नवमी) is observed on Shukla Navami day (two days before Dev Uthani Ekadashi) in Hindu Kartik month. Akshaya Navami is regarded as the day when Satya Yuga began. Thus Akshaya Navami day is also known as Satya Yugadi. On this day of Akshaya Navami, it is of great significance to carry all sorts of Daan-Punya deeds. The name "Akshaya" itself means never diminish or would remain forever.Thus doing any charitable or devotional activities on Akshaya Navami day is believed that it would never diminish and benefit the person not only in this life but also in future births. Akshaya Navami day is as important as Akshaya Tritiya 2019. Akshaya Tritiya is the day when Treta Yuga began and Akshaya Navami is the day when Satya Yuga began. Parikrama of Mathura-Vrindavan on the Akshaya Navami day is considered very auspicious. Devotees in large numbers come and do parikrama of Mathura-Vrindavan to earn the maximum and never ending Punya on the auspicious day of Satyuga. Amla tree is worshipped as it regarded as the abode of all Gods and Goddesses. 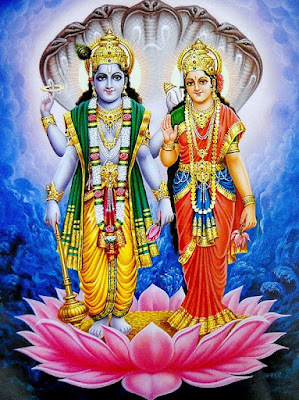 Amla is very dear to Sri Vishnu and on this day of Amla Navami, Lakshmi and Vishnu are worshipped. As Amla tree is worshipped on the auspicious day of Akshaya Navami, the day of Akshaya Navami is also known by the name of Amla Navami (आंवला नवमी). 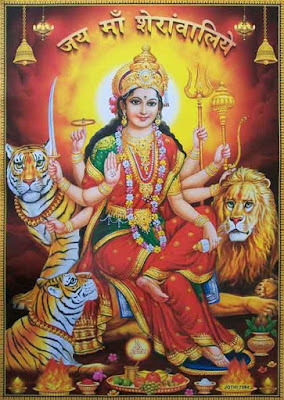 Jagaddhatri Puja is observed on this day in West Bengal. 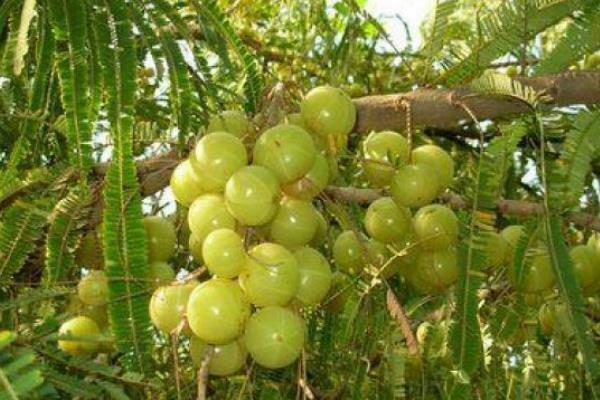 Do you know how the Amla Tree was born? When the whole earth was completely in water and there was no life, then Sri Brahma sitting on a lotus flower was deeply immersed in doing austerity for the supreme lord. At this point of time, tears fell from the eyes of Brahma out of the love for the Supreme lord. It is then from these tears Amla tree was born. What you must do on Amla Navami Day/Akshaya Navami Day? You must, if possible, bath in the river Ganges(Ganga) or use some water from the river Ganga while bathing. You must eat Amla on Amla Navami and also donate some to the needy or in the temple. If you eat Amla on a daily basis, you get a long and healthy life. A Chandala came into a forest for hunting birds and deers. While he was searching for them, he felt hungry. He saw an Amla tree and plucked some Amla and ate them. When he climbed down, he fell and died. When Yamraj’s attendants came to take away his soul, they could not do so. Yamraj was astonished by this and asked for help from sages. They enlightened him and said that they could not take Chandala’s soul with them as he had eaten Amla just before he died. Akshaya Navami is also observed as ‘Kushmanda Navami.’ As per one legend, Lord Vishnu defeated the demon named ‘Kushmanda’ and stopped the spread of Adharma on this day.